Just another random playthrough of the game! It's usually Erockbrox job to find new playthroughs for this hack, but I randomly stumbled into a one month old one! Didn't had time to watch this one yet, but its a another full playthough so thought I'd post it here! Re: Just another random playthrough of the game! I usually (and I can't believe that I do this) look for every playthrough that I can find. Why? To see if there were any glitches or things that I may have missed or didn't foresee. You can also see where the trouble areas are when people are stuck and have problems. Watching others play is a better way to be a video game designer and hone your skills. Can't believe you found this when I didn't. Ha! Okay I see something. 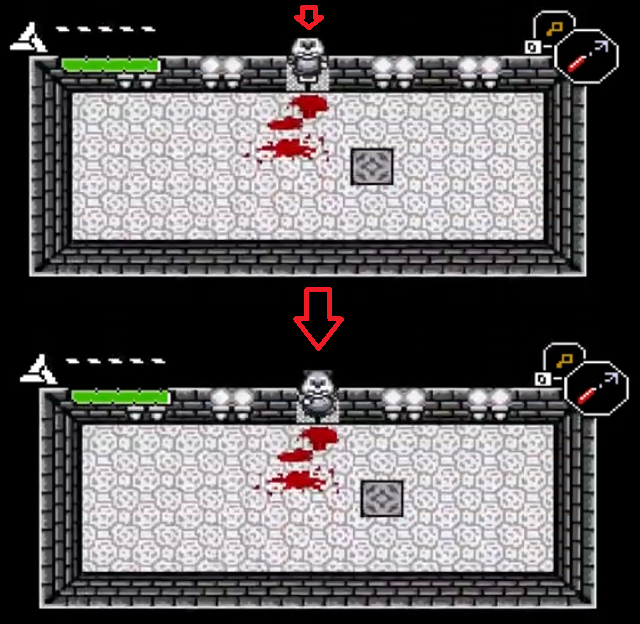 In the first dungeon (black and white with blood), the guy playing the game gets the big key then traverses through the level in such a way such that he exits the big key door without ever using the big key to enter the door. See 32:19 of the first video to see when this happens. The result is that a graphics error appears because your exiting a door in which you never opened. But honestly not a big deal and nothing needs to be changed or fixed. But this is why I watch all of these play throughs because you learn and see all kinds of new things. Okay found something else. In the first video at the 1:13:20 mark, conker picks up a pot on the exact same frame that the chest appears invalidating the pot graphic tile. It's most likely is a bug in the original game and I had no idea that it even existed. 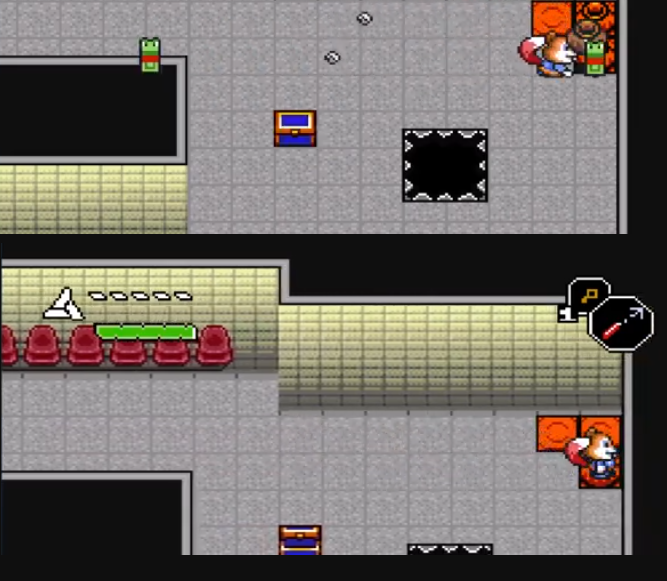 In other words the pot was picked up but the graphics never got updated so it looks like a pot is there even when it isn't. There is nothing to fix here, its just a rare bug in the game. I mean I've played this game for 20+ years and never seen this, wow. Also on the Super Mario World hacking forums there is a forum which documents all of the known glitches for that game. Do we have such a section here, it might be useful to have one. 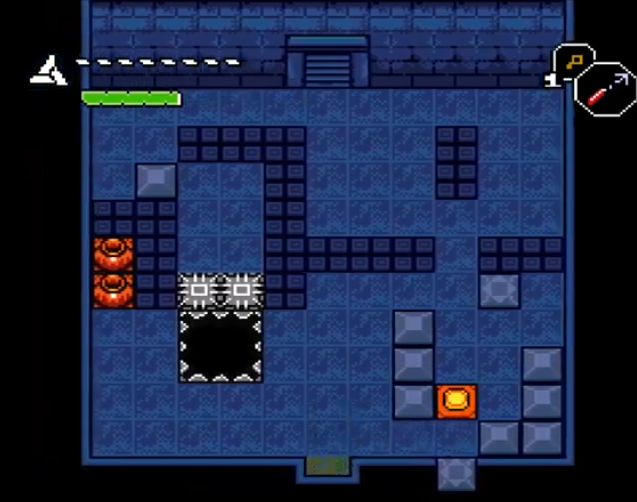 Apparently you can push this one block out of bounds (see bottom of image), which is something I hadn't noticed. In my own special custom version of the game I believe I removed this. I have played the hard mode many times and I have never seen this. 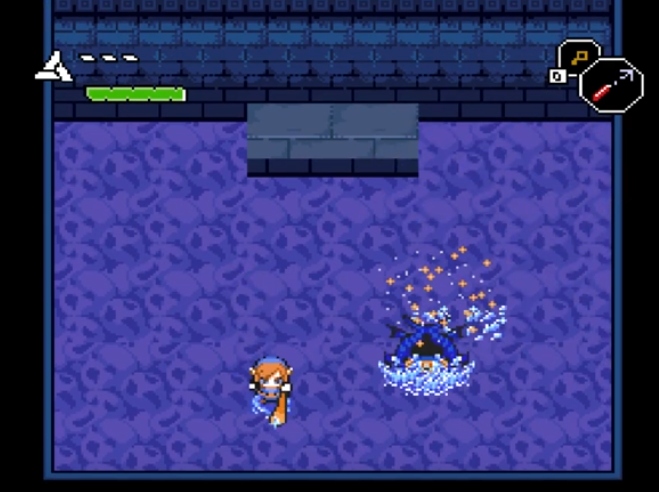 The boss went into his 2nd attack phase with all the little babies (small enemies) still attached to him. See 4:06:10 mark in the video. The babies also would continuously spawn right on-top of the player making a guaranteed hit.